Of course, we all know That Scene in Psycho. 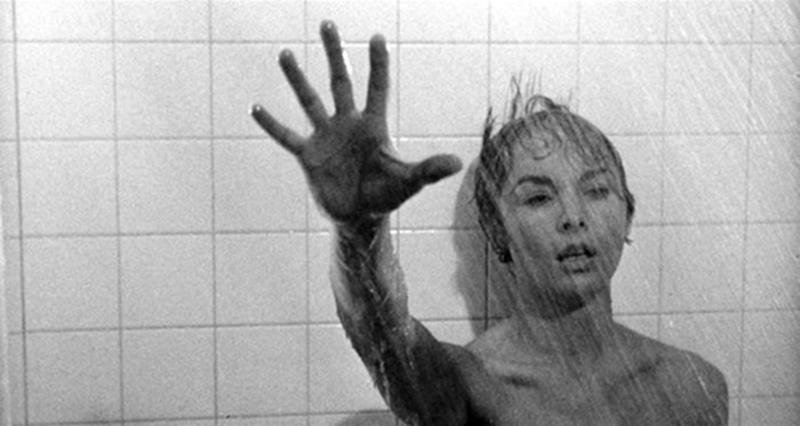 The apparent protagonist of the 1960 film, played by Janet Leigh, is stabbed to death in the shower seemingly minutes before achieving peaceful freedom. 78/52: Hitchcock’s Shower Scene breaks down the sequence in a startlingly intimate fashion, then examines the influences that led to it and the influence it had on other films in what would become the slasher genre. Director Alexandre O. Philippe’s film does all this by way of talking head interviews, and the thought process here comes, almost subconsciously, in three waves. First there is the sequence itself, and the discussion of the mechanics that Alfred Hitchcock, whose career of being fascinated by such mechanics and the setting of a place of privacy (the bathroom, featured in many of his early works, particularly 1927’s The Lodger: A Story of the London Fog) used to achieve it is fascinating. Leigh’s body double, Marli Renfro, discusses the watered-down chocolate syrup poured onto her body, the shots spliced and the images in black-and-white cinematography partly to conceal the limited budget with which Hitchcock was working. There’s the act of splicing itself, a montage approach directly inspired by the innovations of filmmakers like Sergei Eisenstein, that would heighten the unreality of the sequence as it played out. Hitchcock was working with all of the elements that contemporary filmmakers were avoiding. Shot continuity was intentionally staggered, again to heighten the sense of terror in the sequence as the stand-in for Anthony Perkins, as the main antagonist, approaches the shower curtain behind which Leigh and/or her own stand-in awaits. Violence in movies until this point was often obscured or dumbed down by over-acting, and sexual perversion, which pervaded the narrative (both of Hitchcock’s film and the novel by Robert Bloch on which it was based), had not been handled with such forthrightness since the pre-Code era in Hollywood. Psycho, the film and its interview subjects suggest, signaled a change in all of that, which brings us to the second wave of thought in Philippe’s documentary. If it wasn’t the first film in the so-called “slasher” subgenre of horror, it certainly and immediately popularized the trend: Within twenty years, the Halloween franchise, jumpstarting the career of Leigh’s daughter, Jamie Lee Curtis, as a “scream queen” herself, would take Hollywood by storm, and later, franchises like Friday the 13th and A Nightmare on Elm Street and filmmakers like John Carpenter, Tobe Hooper, and Wes Craven would owe their careers to the influence of the “Master of Suspense.” Even Martin Scorsese would go on to emulate the shower scene’s technical details in the infamous boxing match in 1980’s Raging Bull. The talk is fascinating, though the final wave of thought might be its biggest stretch. Philippe and a handful of his subjects for interview go further than tracking its influences to hypothesize that, by virtue of being released in the first year of a tumultuous decade that would see the Civil Rights Era and the sexual revolution, helped to clear the logjam in the path toward that progress. It’s a neat idea, but Philippe doesn’t fully explore it (In any case, it covers a lot of ground in ninety minutes). Still, 78/52: Hitchcock’s Shower Scene is a neat little peek into a slice of film history, and there’s always worth in such a thing.